MINI has done a fantastic job of supporting their brand with great accessories and upgrades that allow MINI owners to make their cars more unique. The application of this has been unmatched by any car manufacturer and in my opinion Harley Davidson is the only company that does it better....and they've had MANY more years to get where they are. 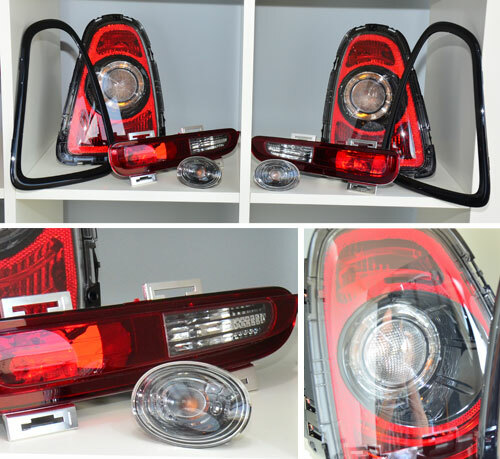 MINI recently announced this set of blackline lighting that replaces existing tail lights, side marker lights, and rear fog lights with a set that has tastefully applied black accents. To top it off they also include a set of black tail light rings to complete the look. Just add the front blackout headlight rings and grill trim to complete the look or go further with the blackout beltline, and anything else you can think of.